A new report from the Aspen Institute takes on the important agenda of educating the whole child. We’re honored to be one of a handful of programs to serve as models for districts across the nation in A Policy Agenda on How Learning Happens. 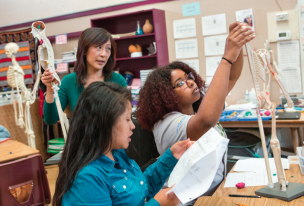 The entire report is worth reading but if you’re short on time, skip ahead to page 32 to read about our work with our amazing partner OUSD.